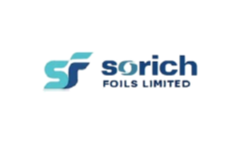 Business description - Sorich Foils is engaged in manufacturing and supplying a varied range of Aluminium Foils for Blister, Strip Foils, Cold Forming Foil, Coated Glassine Paper for Blister, Laminated Glassine Paper for Strip Pack, Child Resistant (CR) Foils, Aluminium Lid Foils, Triple Laminates, Flexible Packaging for Pharma & Food Industries, also FMCG packaging materials. This range is designed & developed utilizing advanced machinery and latest technology in complete adherence with the industry laid norms and standards. These products are widely applicable in different industries such as Pharmaceutical Industries, FMCG packaging, Food and dairy industries, Confectionery / Chocolate industries & Personal Care Packaging. There is in house quality check department to check the entire range on different parameters to maintain its authenticity throughout the manufacturing process. The manufacturing facility of the company is currently located at Plot No. 4802/1, Plastic Zone, Sarigam, Tal: Umbergaon, Valsad Gujrat-396155. Sorich Foils IPO allotment status will be available on Link Intime's website. Click on this link to get allotment status. Wrong company to invest. Just stay away from SME IPOs. No quality at all in these companies.